This is the exhibition that so many local pop-culture fans have been waiting for! 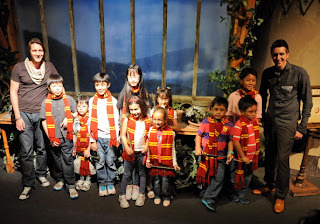 After packing up from Sydney's Powerhouse Museum, the Harry Potter Exhibition is finally here on Red Dot Island! The Harry Potter Exhibition opened in the beginning of June with "the Weasley Twins" in attendance. Actors James and Oliver Phelps were here on Red Dot Island for the first time, and they were double the package of charm while meeting the press and excited Harry Potter fans alike. From what she heard, that weekend was a whole lot of Stupefy-ing Squee. 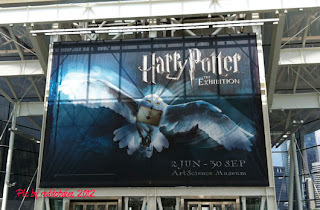 Being a fan of the books and the movies, Red Dot Diva had to make a visit to the Harry Potter Exhibition. 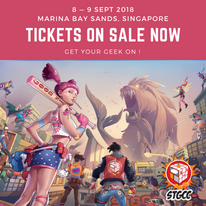 When she bought the tickets last month, she was reminded by the box office to arrive in time for her chosen time slot because if she was late, she might not be able to get into the hall again. It's a good thing Red Dot Diva and her Evil Twin had stocked up on a sufficient amount of Floo Powder. They arrived at ArtScience Museum a few minutes early yesterday for their allocated time slot. 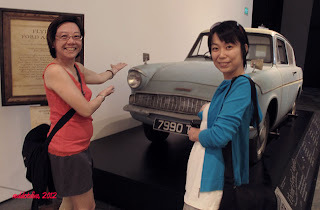 Just outside the Harry Potter Exhibition was the Flying Ford Anglia - an actual movie prop. The magical car was a hot favourite with visitors as it was the only prop one could take a decent photo of. Needless to say, Red Dot Diva and her Evil Twin couldn't help being car booth babes for a few seconds. 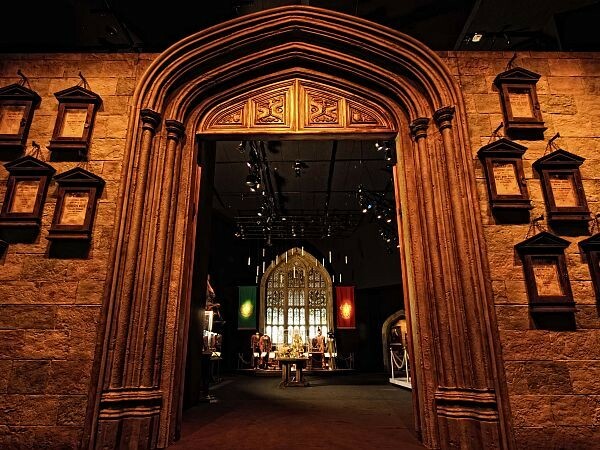 At the hallway leading to the main doors, visitors were placed in a queue and invited to take a fun photo while adorned with striped Hogwart School scarves and holding wand props. Then, they were herded into a room where an actress dressed in Hogwarts robes asked for two volunteers on stage. They were to be told what Hogwart House they should be in by the Sorting Hat. (By the way, it should not already be a surprise that Red Dot Diva is of House Slytherin.) At this point, the introductory segment was beginning to feel like a popular Universal Studios theme park show. After the Sorting Hat, everyone was cordoned off in a separate room where a short video with scenes from the various Harry Potter movies was screened. When it ended with shots of the Hogwarts Express Train, giant doors on the right swung open and as the smoke screen cleared, an almost life-sized replica of the train came into view. Everyone was swiftly ushered into the hall by a lady holding a lamp, who barked in an obviously faux British accent, "Welcome to Hogwarts! ..... Hurry up... Come on, luv.... "
Ambling in, Red Dot Diva saw that the first section appeared to be the entrance to Hogwarts School with the talking portraits (yes, the Fat Lady is there!) and prop displays of Harry Potter's and Ron Weasley's bunks. 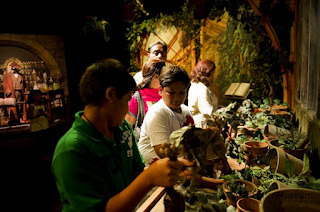 The props and costumes were lovingly displayed in different and gorgeously designed rooms like the classrooms, a Quidditch section, Hagrid's Hut (where you could see Buckbeak! ), the Great Hall and a special spooky evil It-Shall-Not-Be-Named section for all things You-Know-Who. Red Dot Diva thoroughly enjoyed walking through the exhibition as there were so many things to look at! 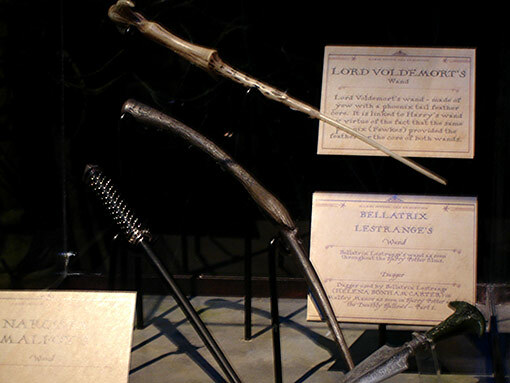 The exhibit had props like the Marauder's Map, Tom Riddler's diary with the Basilisk Fang, Quidditch TriWizard Cup, copies of The Quibbler, Trewlaney's tea cup, Nimbus 2001 broom and the most unique one of all -- the Mandrakes. This was one of two displays that visitors could touch. Curious and tactile Red Dot Diva had to try pulling those squealing mandrakes out from the pots. Man, they were loud! At the Quidditch and Yule Ball sections, where several costumes were on display, Evil Twin couldn't help mentioning a couple of times how much smaller Harry Potter's (Daniel Radcliffe) frame was compared to the tall hunky Viktor Krum (Stanislav Ianevski) and Cedric Diggory (Robert Pattinson). In fact, both Red Dot Diva and Evil Twin marvelled on the details of many of the costumes, which included Dumbledore's elaborate robes and Prof Trelawney hobo-style clothes. One of the other more Harry Potter-geeky things Red Dot Diva and Evil Twin enjoyed doing was gawking at the various wand props. Some were very pretty -- like Fleur DeLacour's elegant wand. Even You-Know-Who's white yew wand was malevolently beautiful. The other more unforgettable display was a prop of a Dementor. It was much bigger and scarier than Red Dot Diva expected, and in addition to the tattered robes and withered corpse-like body, the Dementor prop had a long trailing skeletal spine and tail. Red Dot Diva certainly did not recall seeing that in the movies. And then, suddenly, Red Dot Diva found herself walking into an area filled with people. The exhibition had segued quite seamlessly into the merchandise area that resembled the shops at Diagon Alley. There was Madam Malkin's Robes For All Occasions and Ollivanders Wand Shop. The place had so many people excitedly browsing for souvenirs that included the Hogwarts House sweaters and t-shirts, chocolate frogs, many wand replicas, snow owl plushies and Horcrux jewellery. It was beginning to get claustrophobic, so Red Dot Diva and Evil Twin left the merchandise area after making one quick walk around. 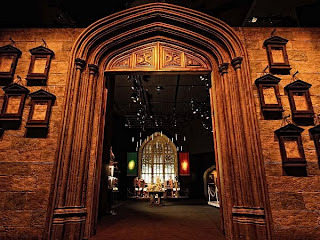 For a Harry Potter fan, the exhibition is a visual spellbinding feast of props and costumes that should not be missed. The entire exhibition took about slightly over an hour and for fans like Red Dot Diva, the displays brought back wonderful memories of JK Rowling's book series and the 8 movies that followed. Kids would definitely enjoy the feeling of being immersed in another fantasy world of magic and imagination. Would it ever be possible to wish for a more adult "Game of Thrones" exhibition? Wherever that exhibition is held, Red Dot Diva is all set to line up a couple of days ahead! The Harry Potter Exhibition is at the ArtScience Museum till 30th September. To buy tickets, head down to the box office or CLICK HERE to buy them online! Note: Photography and filming were not allowed in the exhibition hall so wistfully, Red Dot Diva had to use the exhibition pics grabbed from WB, ArtScience Museum Facebook page and the Internet. If you should be credited for the pics, please drop Red Dot Diva an email.